Okie Deadlift Bar - Why is the Okie Deadlift Bar the Best Deadlift Bar? The Okie Deadlift Bar was designed by Rickey Dale Crain. Did you ever hear of Rickey Dale Crain? It is time to find out about this powerlifting legend. If ever there was a man with a perfect name, it's powerlifting legend Rickey Dale Crain. After teething on a dumbbell-shaped rattle – his father Don was and is an avid lifter – Crain started lifting at age 2, was deadlifting triple bodyweight by the time he was 10, and soon after discovered he had “real” talent in the squat, doing 200 at 13 and 400 before he turned 17 – as a 132-pounder. In 1976, at age 23, he became the first middleweight (165 lbs) in history to squat with 700. The rest, as they say, is history. In 35 years of competition Rickey, now 45, has racked up 10 National championships and 4 World championships, breaking over 100 National, International and World records along the way. His best contest lifts at 165 bodyweight are squat 800, bench press 440 and deadlift 716. Asked if he had a message for aspiring powerlifters he responded, “Squat!” As you can see, he's the real deal. For more details on Crain's truly remarkable lifting career go to the library and dig out the July 1994 Powerlifting USA; it contains a wonderful piece by weightlifting historian Herb Glossbrenner. These are some of the credentials of the man who created the Okie Deadlift Bar. 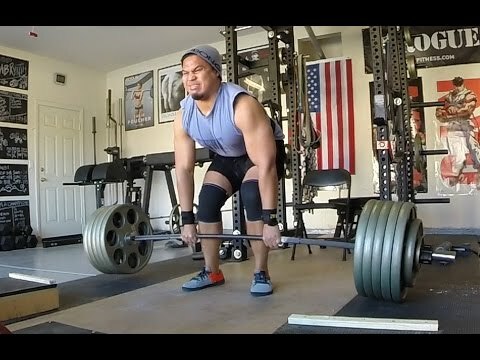 What is so great about the Okie Deadlift Bar? The Okie Deadlift Bar is used in local, state, regional, national, world and international competitions. Therefore, if you are thinking of competing in powerlifting competitions, you will get experience and used to deadlifting with the same barbell you will use in competition. 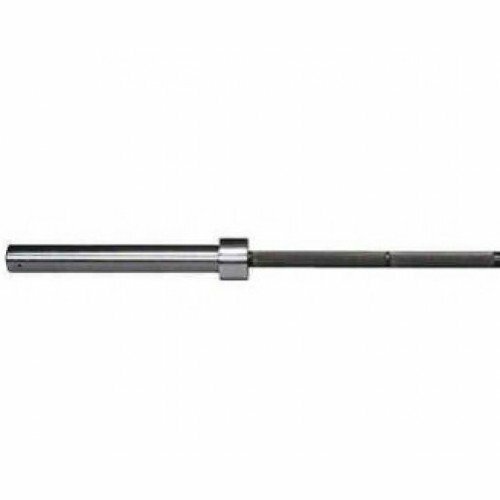 This barbell is engineered to the maximum length and minimum diameter permitted in powerlifting competitions. This engineering creates a big spring. If you are into powerlifting or just plain dedicated to deadlifting, you cannot go wrong with the Okie Deadlift Bar. The Okie Deadlift Bar has a reputation of enabling you to deadlift maximum weight along with the best grip possible. Rickey Dale Crain as mentioned above has deadlifted over 700 pounds himself, so he has the deadlift credibility for designing on of the best powerlifting bars available today.